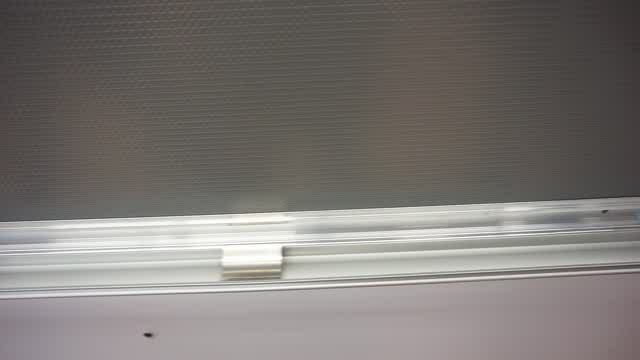 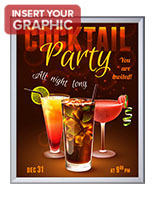 16" x 20" 18" x 24" 20" x 30" 22" x 28" 22" x 56" 24" x 36" 27" x 40" 27" x 41" 30" x 40" 36" x 48" 40" x 60"
This snap open wall display with plastic lens combines high visibility mounting with easy access quick-change framing. 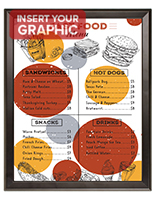 Each 13" x 19" frame is made of lightweight aluminum with a matte silver finish that will complement any environment or graphic. 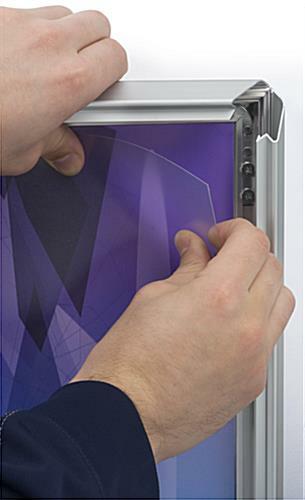 This simple front loading wall display with plastic lens allows posters to be changed quickly without dismounting the unit. 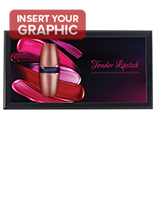 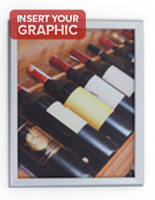 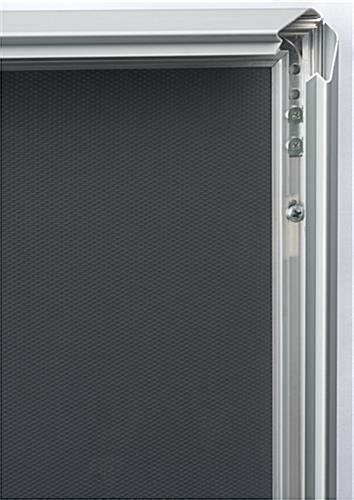 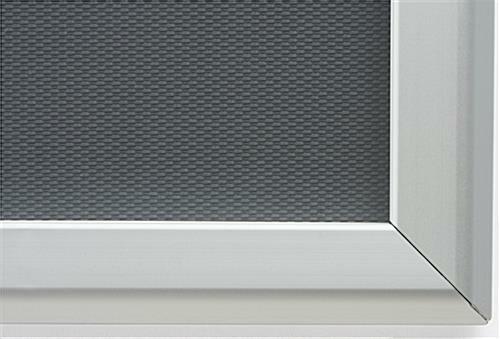 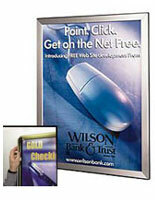 This 13" x 19" graphics holder is ideal for installation in areas with heavy traffic. 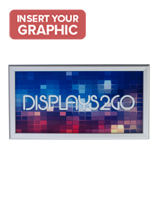 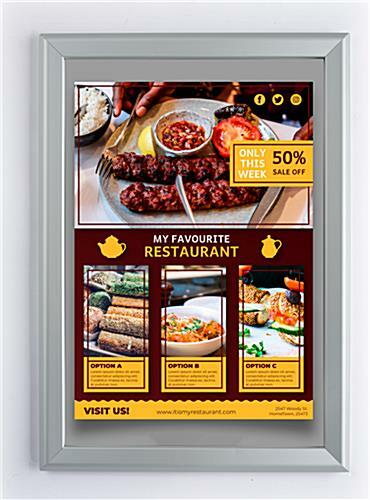 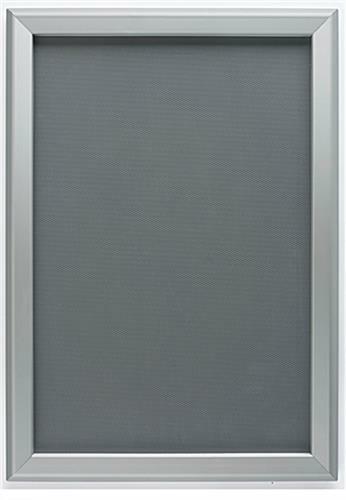 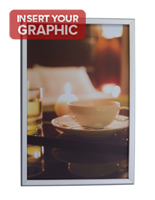 This stylish silver finish display with plastic lens is a great choice for attracting attention to branding, advertisements, marketing information, artwork, and even menus. 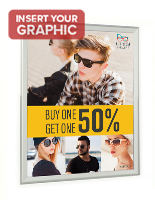 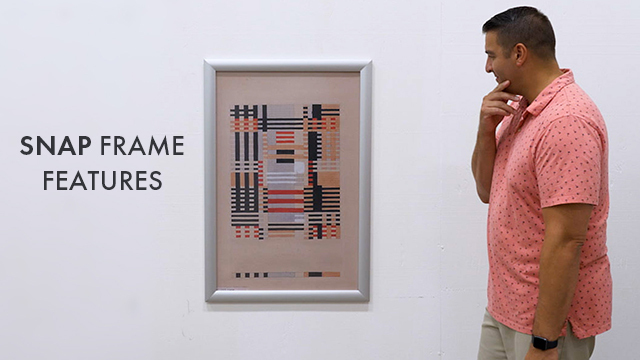 The lightweight construction and stylish design will complement any environment, while making these frames an economical choice for use singly or in gallery-style groupings.